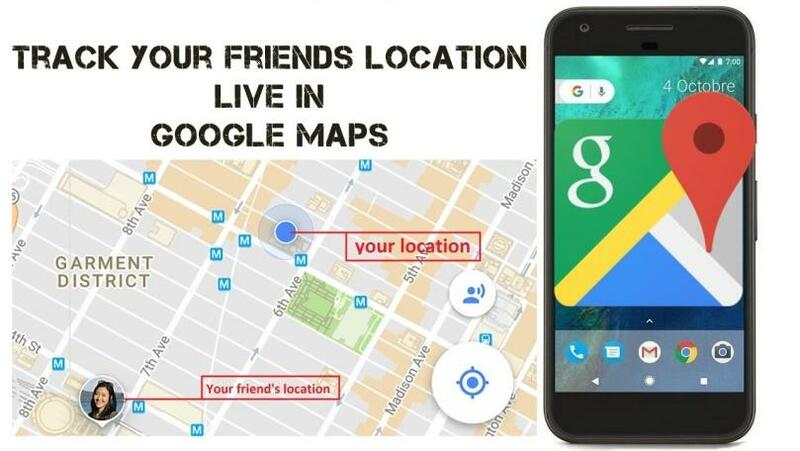 You can find this feature in every Android smartphone as it is pre-installed by Google to help you track your android cell phone. Now, the question is, what type of stuff it can do for you? Well, it can locate your phone from a certain distance. Additionally, you can ring your smartphone, wipe all the data on your phone, and even display a warning message. So, whoever has your phone then he can see that you are trying to find your phone. The best thing about this app is that it is free. So, no in-app purchase and you can make several attempts to find your phone. However, if you can’t find your phone, then in the worst case scenario you can wipe your smartphone. If you lost your phone in places such as malls, stadiums, and airports, then you can find it using the latest update by Google for Indoor Map Support. Most of you will agree with me when I say that you use Google Maps to find a location. However, do you know that you can track your android cell phone using Google Maps? If not, then you will be amazed to know that now you can. So, if you simply misplaced your phone or lost it somewhere, then you can also use Google Maps to track it. Though, one thing you should keep in mind that location feature should be turned on to high accuracy in your smartphone. Moreover, your device should be connected to the internet and your existing Google Account. Additionally, location reporting must be enabled. When you use Google Maps or Google’s Android Device Manager, there are some chances that you might not get the accurate location of your device. Additionally, they require you to enable internet and location of your device. Otherwise, you won’t get the precise location of your smartphone. So, I suggest you use third-party apps such as Spyzie. Along with real-time location, this app provides an advanced feature that you won’t find with any other app. Furthermore, you would get your device’s location as long as it is turned on with these applications. Spyzie app is used to monitor your android cell phone from its hassle-free dashboard. When I talk about an Advance feature, then it means you can access essential data files such as photos, SMS, browser history, and more. The best thing is that no one can uninstall this app except you. When I compare TheOneSpy app with spyzie app, it is quite similar but with the addition of remote functions such as a variety of information in terms of data. Moreover, along with the tracking feature, you can use it for parental control. This app works in the background and allows you to monitor your smartphone. 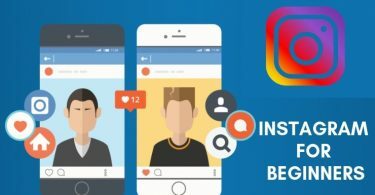 In case, if your android cell phone is stolen TheOneSpy app can control the front and back camera to take high-quality pictures, record visuals and audio of the perpetrator. 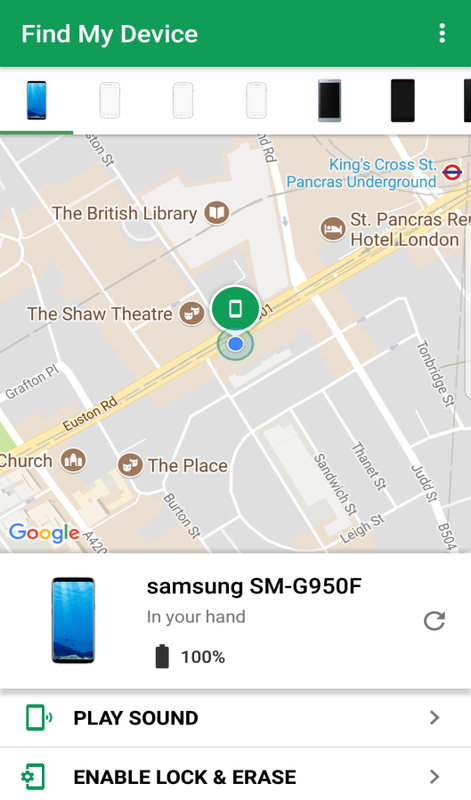 Prey Anti-Theft is a free to use tracking app that allows you to track your phone by sending a message via web. You might be wondering what kind of message that is. Well, you have to send two words “GO PREY” in capital letters to activate prey mode in your Smartphone. Now, after enabling, you will receive notifications of the location of your phone. Moreover, this app is hidden, and no can uninstall this app as it requires a password. In case of emergency, if you have lost your smartphone, you can use Where’s Droid App to you’re your missing phone. All it does is, if you send a text to your smartphone, your smartphone will start t ring even on silent mode. In response to this, you will get the GPS coordinates of your smartphone via text message. Additionally, if you connect your smartphone to the web-based interface known as commander, then you can remotely control your phone. You can use these features to track your cell phone free of cost; however, if you want to remotely lock your phone or take a picture of the culprit who stole your smartphone. Then, you can do so by purchasing its Pro Version. In case, if you have not installed any tracking app in your smartphone and lost or misplaced your phone, then PLAP B is an app made for you. Plan B helps you in locating your cell phone using cell towers and GPS. All it does is send the exact location of your phone via Gmail. Moreover, some smartphones allow Plan B to enable the GPS automatically and then send the updated location every 10 minutes. If you want to track your phone and at the same time catch the perpetrator, then you should use the Android Lost app. You can activate an alarm via SMS or web with a flashing screen, enable and disable the GPS of your phone, connect or disconnect data and wi-fi, remotely wipe SD card of your phone and fetch the latest call history. Android LostFree is a free app. Moreover, it allows you to take pictures of the thief using the front and rear camera, without letting them know. You can even speak using a text-to-speech app. If someone changes sim card in your phone, you will get all the information via Email. The best thing is that like any other spy app; no one can find this app in the launcher. Do, you have a family? If yes, then you can use Famisafe to keep track of all your family members using it. If you have kids, you can track what they are using in their smartphone. You can monitor their activity just like a spy. The best is that Famisafe app is free to use. You can track your smartphone using the IMEI number of your Smartphone. In case, if you don’t know that what is IMEI, Then let be start by informing you that IMEI, stands for International Mobile Equipment Identity Number. It is a unique serial number that is assigned to every smartphone. You can find the IMEI of your cell phone by dialing *#06# in your smartphone or by going to about phone in the setting of your Android smartphone. After finding the IMEI number, you can take the assistance of online IMEI search portal to track your cell phone. Later, you can provide the IMEI number to the police. Along with your service provider, they can track cell phone instantly. NOTE- In case, if you have lost or misplaced your phone and don’t know the IMEI number, then you can find it on BOX of your smartphone. As you know, it’s not easy for everyone to afford a new cell phone whenever they lose their smartphone. In addition to this, our smartphone stores all our private information from images to messages, bank account details. So, by using these ten ways, you can track your Android cell phone and retrieve your confidential information.